Christopher Hitchens’ Mortality: An honest book about death. 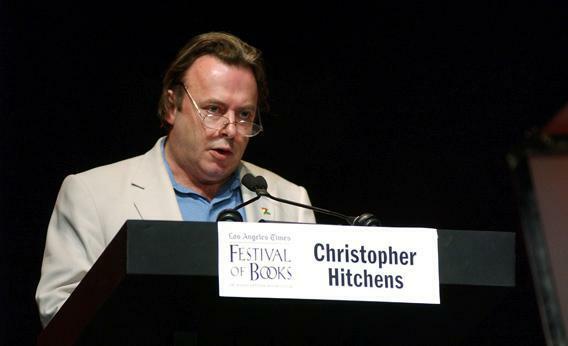 Christopher Hitchens speaks at an event in 2004. Photo by Amanda Edwards/Getty Images. Before being diagnosed with esophageal cancer, Christopher Hitchens wrote in his memoir, Hitch-22, “I want to stare death in the eye.” This seems, of course, an impossible blustery task, but in his last book, Mortality he comes astonishingly close to pulling it off. One of the many remarkable things about this collection of observations about what he calls “living dyingly” is that Hitchens doesn’t resort to charismatic English humor as a way of deflecting the difficulty of his subject—which is not to say that he is never funny or that there aren’t flashes of his characteristic wit throughout, but rather that he doesn’t allow irony or humor to overtake the truth-telling that is his real business here. He does not use his considerable comic gift as a way of not facing or not examining or not describing, which itself is part of the courage that the book both documents and enacts. If he were here, Hitchens would object to the idea of courage. He says that the word courage should be reserved for voluntary situations, for things you willingly do: He rightfully points out that he has no choice about the things people are calling him brave for. What is powerful about this book is that Hitchens is doing a close reading of death; he is examining its language, critiquing its clichés. One of the ones he takes on most bitingly and effectively is the idea that “whatever doesn’t kill me makes me stronger.” He elaborately describes his disillusion with the axiom, usually attributed to Nietzsche, with relish: “In the brute physical world, and the one encompassed by medicine, there are all too many things that could kill you, don’t kill you, and then leave you considerably weaker.” He describes instead a world in which “each debilitation builds on its predecessor and becomes one cumulative misery with only one possible outcome.” What he undertakes here is a Sontagian task, but he does it with a journalist’s plainness, a disarming candor and immediacy. The book’s power lies in its simplicity, in its straightforward, intelligent documenting, its startling refusal of showiness or melodrama or grandeur. This is highly unusual in a death memoir. (I love, for instance, Harold Brodkey’s This Wild Darkness, about his death from AIDS, but one can’t make the argument that he refused melodrama or grandeur.) In Mortality, Hitchens is using himself as a way of writing about death; he is not using death as a way of writing about himself. He writes about the loss of his voice with the same fascination, and precision, that he would bring to another subject. He talks directly about his sense of loss, without getting lost in it. He writes about a time when he was upset about missing a niece’s wedding in England, and a friend suggests what is really upsetting him is the fear he will never see England again. As it happens he was exactly right to ask, and it had been precisely that which had been bothering me, but I was unreasonably shocked by his bluntness. I’ll do the facing of hard facts, thanks. Don’t you be doing it too. And yet I had absolutely invited the questions. Telling someone else, with deliberate realism, that once I’d had a few more scans and treatments I might be told by the doctors that things from now on could be mainly a matter of “management” I again had the wind knocked out of me when she said, “Yes I suppose a time comes when you have to consider letting go.” How true, and how crisp a summary of what I had just said myself. But again there was the unreasonable urge to have a kind of monopoly on, or a sort of veto over, what was actually sayable. The great polemicist, essayist, conversationalist, provocateur, arguer, has done something extraordinary in this book. He has created yet another style, another mode, another way of being and thinking and dreaming, on his death bed; he has written in many ways an un-Hitchens-like book, eluding proclamations, resolutions, mastery, wit, at-easeness with opinion, in favor of unnerving directness, of harrowing documentation. He has allowed his dismantled confidence, his undoing to breathe, and to live in the pages, in a way that is startling and new and an achievement unlike his others, different in kind, yet equally ambitious and relentlessly honest. The last section, which is made up of notes, scrawlings, and half-formed thoughts, is the saddest, as one feels very tangibly and painfully the lack of Hitchens, the pulling together of his inimitable sensibility, the work yet to be done. Also in Slate, read the afterword to Mortality written by Hitchens’ widow, Carol Blue; read the “unpublished jottings” included in the book (and annotated here by Slate Editor David Plotz); and view pictures from his wedding, travels, and family life.